The birthday star isn't the only one who gets a gift. The perfect goody bag makes all party-goers feel special! The key to a successful birthday party is the finishing touch. Kiddies might have a blast doing laps around the roller rink, but bidding attendees adieu with a less-than-stellar souvenir can make or break the experience. Yes, parents, it can certainly cause a lot of unnecessary pressure. But we have some good news to share before your trip to supply store results in a nightmare. 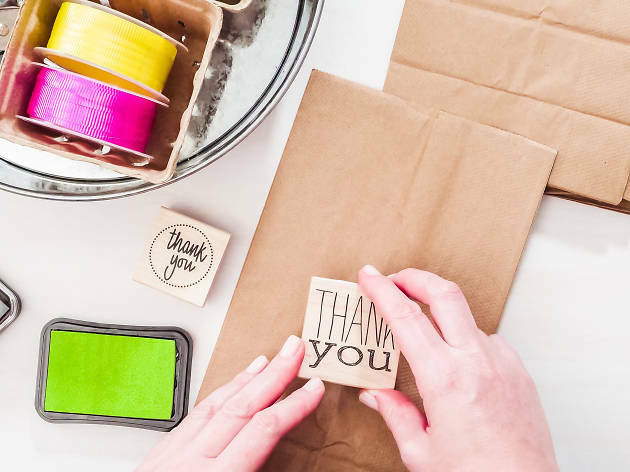 We spoke with craft experts for their take on designing custom goody bags that allows everyone at the bash feel to feel like the guest of honor. 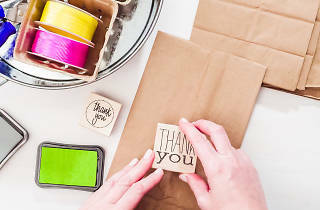 While yes, your birthday princess might be pretty excited about receiving a little TLC on her special day, getting her involved with the goody bags not only makes for a perfect mommy-and-me activity, but it gives the gifts an added touch. Who better to let you know that little Laurie hates Hatchimals and Gina prefers Anna to Elsa than your little one? Kids are the perfect resource. Bouncy balls and whistles are all well and good, but youngsters only receive a temporary enjoyment from those types of souvenirs. In a short amount of time, said bouncy ball and whistle will be left unattended in the playroom, creating even more of a mess for mom to clean up. Like you would with any gift, make the goody bag something the receiver would actually like to open. “I would say that favor bags that have items that kids can actually use are always great,” Fischoff says. While using her love for crafts as her guide, she created a DIY superhero bag that’s a wonderful fit for any little vigilante. The contents? Fun craft supplies—a notebook, crayons and so on—to use at school. The standard plastic bags adorned with balloons are definitely fun, but why not spice things up a bit? Select something near and dear to your kiddo’s heart and make it come to life in the form of a goody bag. Lindsey Peers of The Craft Studio is all about harnessing little one's passions and taking advantage of location. Just in time for summer weather, she has a stellar idea for the best under-the-sea theme you can imagine. Grab a bag, some blue and green magic markers, seashells and you’re in business. Any little mermaid or fishy will wag their fins at this bad boy. As for the fun inside? She suggests candy, school supplies and fun nail art! Feeling inspired yet? Happy accessorizing, everyone! Be sure to check out our full guide to these awesome kids' birthday party places in NYC, grab sweets from the best shops for birthday cupcakes and surprise your little ones and their guests with these blind bag toys.